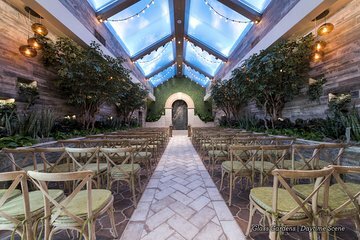 If you’re celebrating an anniversary or just want to renew your vows while you’re in Vegas, take away the stress of planning with this vow renewal at the Chapel of Flowers. Along with ceremony music, a bouquet, a boutonniere, a professional photographer, and unity candles, you’ll also have a wedding coordinator there to help work out all the details on the day of your ceremony. Plus, round-trip transport from your Las Vegas hotel is included for ultimate convenience.